Welcome to the 2018 season! As the golden evening light settles on the lush green farm, it’s hard to believe that we had snow cover on 100% of our fields less than a month ago. This marks our 11th year farming, and this spring’s snow melt was 2 weeks later than at any other time for our farm. Thank goodness for high tunnels and season extension techniques! Checking in on the spinach last night pre-harvest. The challenge for us every spring is figuring out when to plant our crops so that they will be ready at the same time in mid-May, without knowing what the weather is going to do (and not freezing them in the process). Every season we tweak it a little bit, and every year throw’s a new twist. This year the the salad mix grew too fast, the spring onions grew too slow. ..but I think we did a record best on the spinach….it’s beautiful! Regardless, the fresh produce is a welcome change after a long winter. Speaking of winter, this past one we spent a lot of time pondering the farm, figuring out ways to make improvements, visiting other farms, working with others to improve our local food system, and yes, doing a little relaxing. One thing that was really reinforced for us was that fact that supporting local farms, and seeking out fresh, high-quality food is not the easy choice for consumers. While many farms in this valley are working to improve this, the fact remains that local food is not always the convenient choice. And we just wanted to recognize that up front, and to thank you. There are so many good things that come from this type of relationship (health, culture, vibrant local businesses, resilient communities, land stewardship, etc. ), but it all starts with you choosing to take part. So thank you for your commitment! 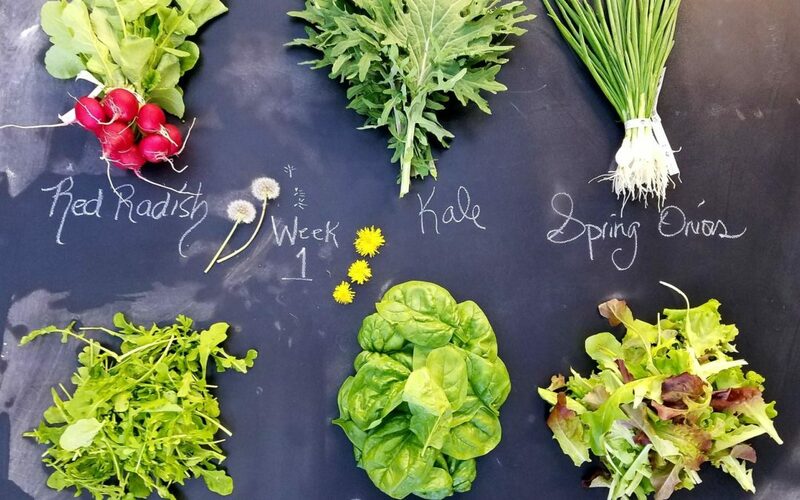 Over the course of the next 20 weeks, I will share with you some of the new and exciting things that we have going on at the farm. But for tonight, I primarily want to welcome both new and returning members to the Two Bear Farm CSA. 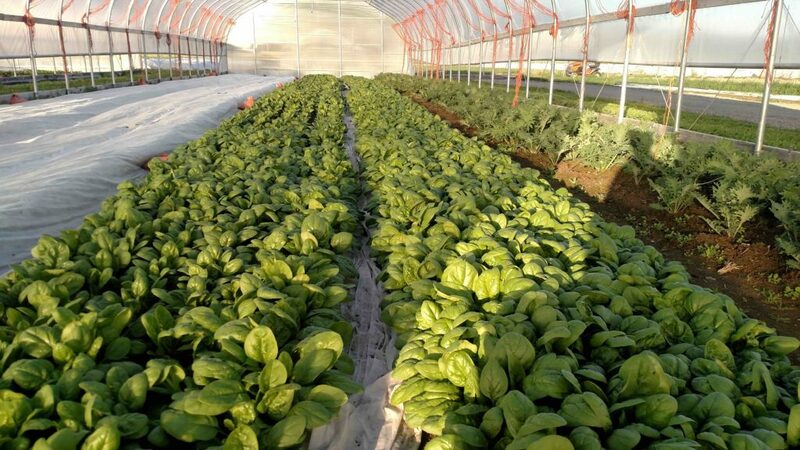 We work hard to provide you high-quality, fresh, organic vegetables every week. All items have been cleaned of soil here at the farm, and mixes have been washed and spun dry, so while you are welcome to further clean the produce, there is typically is no need. Each Monday night you will receive a newsletter similar to this that has farm updates, recipes and information about the week’s share. We will send you an email to the address we have on file that provides you a link to this blog. Last week I sent out an email detailing all of the pickup locations and specifics, so hopefully you have all had a chance to read that by now and the 1st week goes smoothly. OK…here’s hoping Week #1 goes smoothly, and we look forward to seeing all of you at CSA pickup!